A caller into the Dublin Talks show was also said to have “made allusions to her complicity in what he considered to be murder”. 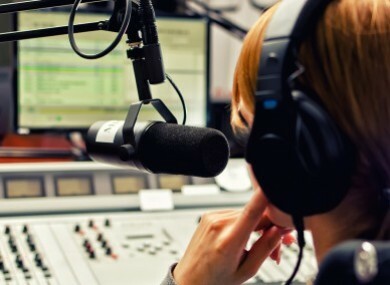 THE BROADCAST AUTHORITY of Ireland (BAI) has partly upheld a complaint made against Dublin’s 98FM after a woman who’d detailed her experience of carrying a child with fatal foetal abnormality was branded a liar live on air by another caller. The complaint related to Jennifer Ryan’s appearance on the Dublin Talks programme with Adrian Kennedy on 98FM on 26 August 2016. The BAI determined that the programme makers had “failed to take appropriate action so as to avoid undue offence to audiences and to the complainant”. They also point out, however, that they had “insufficient grounds” to judge whether Ryan had been given incorrect information on how she would participate in the programme. Ryan said that she had been on holiday in Spain with family when she received a call to appear on the show. She said that she had been assured by the production team that it would consist of a 10-minute chat where the presenter would ask her questions related to her and her husband’s decision to terminate a pregnancy following a diagnosis of fatal foetal abnormality. Ryan had brought the baby home for burial in Ireland, after terminating the pregnancy. She said that she believed she would directly answer questions from Kennedy and was unaware that people would phone in to air their views on the matter. The first caller detailed a situation where she had a stillborn baby and later learned that the baby had fatal foetal abnormalities. Despite being “unprepared” for such a situation, Ryan felt obliged to make a comment live on air. The second caller, named Jimmy, came on air and proceeded to cross-examine Ryan on her decision, as well as making what she referred to as “several hurtful and grossly offensive comments”. He then repeatedly accused her of not telling the truth and, while the presenter then took charge of the discussion, Ryan’s participation in the programme was ended. Jimmy, however, was allowed to air his views on separate topics on the show. The BAI adds: “The complainant states that, having been subjected to what she describes as horrific abuse and cross-examination from a listener, she was then denied any right of reply by the programme makers. The complainant believes that she was not treated fairly and honestly by the programme and would never have agreed to take part had they set out to her the format and approach to the programme when they contacted her in the first instance. The broadcaster took issue with the complainant’s characterisation of being “forced to go on the show”, saying that she had placed her story in the public domain and didn’t have to go on the show. While they rejected her claims, they did say that, as a gesture of goodwill, they would offer to pay the roaming charges that Ryan incurred while taking the call on holiday. In terms of Ryan’s claim that she had been given insufficient notice of the format the show would take, the BAI noted that “the programme format is well established and the style and approach of the presenter well-known”. They did note that Ryan and 98FM disagreed about the agreed nature of her contribution to the programme, and it had “insufficient grounds” to make a determination on whether Ryan had been fully informed about how the show would proceed. However, they did conclude that the programme “did not meet the obligation for fairness”. The BAI said: “As noted, the complainant should have expected to be questioned on her personal experiences and on any views she may have on broader issues of abortion. However, the caller in question repeatedly questioned the complainant’s honesty, made allusions (both direct and indirect) to her complicity in what he considered to be murder (the termination of her child), made suggestions that her story had the quality of a ‘Walter Mitty’ tale of fantasy, queried the burial of her child, stated that she was lying about her experience and implied that she was lying so as to advance the cause of those who favour liberalising Ireland’s abortion law. They added that by taking Ryan off air following these remarks, they had “failed to deal fairly” with her. In a statement, Ryan said that the whole experience had been “very traumatic”. Email “Woman subjected to 'grossly offensive comments' on fatal foetal abnormality on 98FM show”. Feedback on “Woman subjected to 'grossly offensive comments' on fatal foetal abnormality on 98FM show”.